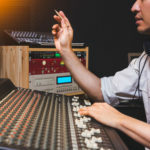 Award-winning independent record label The End Records is on the hunt for unsigned artists via a ReverbNation opportunity. 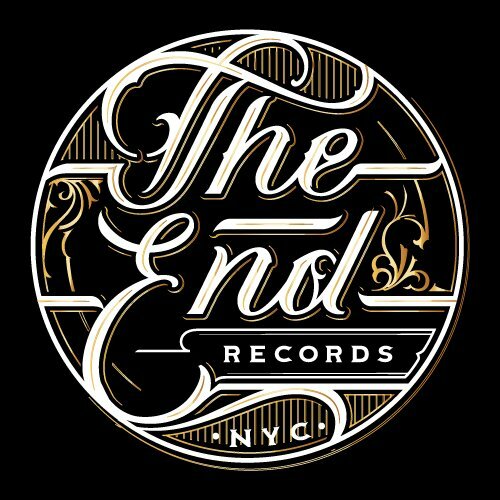 Based in New York, NY and led by CEO Andreas Katsambas, The End has represented a diverse roster that includes Billy Talent, Rich Robinson (The Black Crowes), Alien Ant Farm, Better Than Ezra, HIM, tAKiDA, The Zombies and more. With nearly two decades of experience building acts both local and Platinum, the label recently made headlines with the July 2016 announcement of its catalogue acquisition by BMG Rights Management. We hooked up with Andreas Katsambas, CEO and founder of The End Records, to learn how the label has helped underground artists, what criteria they look for in artists, and advice for emerging artists who are trying to break into the music business. Hi Andreas! Thank you so much for being part of our series. We’re excited to have joined forces in this unique opportunity for ReverbNation artists. Can you give us a little introduction to The End Records? Just like many aspects in the music industry, the company has morphed with the times. I started the label from my second bedroom out of pure passion for music. I had a day job so I did this on my extra time and weekends. As my time was limited and I didn’t have any funding, I had to be careful with each step and expense. I handled everything including driving around Los Angeles delivering CDs to record shops on a consignment basis. I also started an e-commerce store, which helped sell the releases on a global scale. That allowed me to build an email list, so I started a newsletter. That provided a consistent audience that I was able to reach with each new release. I learned a lot by reading music business books, buying magazines and fanzines, asking around and eventually started making connections in the industry. Once I got national distribution, things got a bit easier and the label started to grow. I was able to hire my first employee and rent a small office. By 2006, the label had enough going on and I was able to start signing bigger artists. That same year we also moved to Brooklyn, NY. As we continued to develop, I felt we could diversify even further and nowadays the roster reflects a lot of my personal tastes and that of my staff. Last year, we moved our offices in Manhattan and made a deal with BMG. They have great people working there, amazing artists and a global setup. This enables us to tap into their infrastructure and utilize their services for our artists. We are now in a capacity to properly develop an artist everywhere in the world. Get your music heard! The End Records is conducting an A&R search to identify potential ReverbNation artists for its roster. CLICK HERE TO APPLY. The End Records was founded with the goal of helping small underground artists. How has the label maintained that philosophy? The philosophy hasn’t changed much. It’s still about working with artists we like. When the label started, I didn’t have any resources so I worked with underground artists. Those artists don’t require big budgets and could be properly promoted into niche outlets. As we grew, I felt confident about bringing more artists and we actually did quite well for them. At this point we sign artists of any level and give them a full setup with lots of success. We are also very artist friendly and communicate with all our artists on a frequent basis. Who are some of your most successful artists you’ve worked with? We have worked with many great artists through the years. Some names in varying genres: The Prodigy, Jethro Tull, The Zombies, The Dandy Warhols, Juliette Lewis, HIM, Mindless Self Indulgence, Better Than Ezra, James Iha (The Smashing Pumpkins), Hinder, Lordi, etc. In 2014 you expanded your business model to become a sub-distributor to smaller indie labels. Can you tell us about that? I always felt that if I had some help when I was starting out, it would have been so much easier and I would’ve possibly made fewer mistakes. So my goal now is help other labels that are either starting now or don’t have enough manpower to handle a lot of the logistics that are required to run a smooth operation. This does take a lot of time so we are quite limited with what we bring in. But it’s great to help out other labels, plus I get to discover other styles of music. What are the latest developments for songwriters and publishers in their chase to be paid higher royalties? This is an interesting point. There is always the discussion that payouts can be higher. We are in a situation now that payments from multiple sources of revenue, i.e. streaming, are really small. So the goal is to increase the volume of streams to generate enough revenue for the artists. With each passing year this seems more feasible as streaming numbers keep going up. Other similar sources of revenue can be services like Pandora, SiriusXM, etc. We also create artist friendly deals and in some cases we come in as partners so they end up making more. Who are some of the newer songwriters you are working with that you’re excited about? We have some new talent that we brought on that we are quite excited about. TOWER from Brooklyn is building up very quickly. Female fronted 70’s style hard rock that throw a very energetic live show. The Candles from New York which have been touring with Norah Jones lately. It’s a great mix of singer songwriter with American influences. Findlay from the UK that brings some electronic into her alternative sensibilities and a very powerful voice. Also, King Washington from LA. Great harmonies with very catchy songs. What advice can you give to emerging artists who are trying to break into the music business? Music comes first so write great songs. 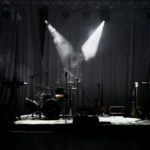 At the same time it’s important to develop a strong live performance, strong visuals and build a strong connection with your audience. Social Media is key and that has to be done constantly. Try to offer something new daily and educate yourself as much as possible on all facets of the music industry. Networking is key, too, as one new contact can make the whole difference. There are many tools out there for artists and find out what can bring best results. There is not one single formula for success; so don’t be afraid to experiment until you discover what works best for you. It’s tough to sign a brand new artist without any traction. Unless the music is unbelievably awesome, usually there has to be a story before we proceed. In cases, we start a conversation with an artist and keep a close eye to see how they develop. It’s important for an artist to hold their own, so it’s good to sign an artist that already has experiences and understands how things work. What makes an artist stand out from the rest? For me it’s still that personal attachment. I really care how the music sounds and how it makes me feel. It’s an industry that utilizes both hearts and minds and I try to keep both in equal balance. I listen to music constantly so I can easily pick out what works for me. What effects have social media and streaming services had on music sharing and consumption? They are all interconnected. For example, at a live show fans take pics and post on their accounts. Or they record a video on their phone and upload on YouTube. In the world we live in, people rely on social media to discover their next favorite band and song. If you go to a streaming app there are strong discovery options to find other music similar to what you like. Fans are not just experiencing music but are an intricate process in getting the word out there. So the discovery option and the payout to the artist are now becoming one. The days of listening to a new song on radio and then going to a retail to buy it, are becoming things of the past. Social media and streaming will keep evolving and this is definitely the route music is taking in the near future. What kind of strategy does the label use to promote their music? It all depends on the artist and style of music. We usually discuss with the artist to understand as much about them and their vision. We then develop a marketing plan and once it gets finalized and approved we go from there. The marketing plan covers all aspects and in some cases we start working a release while in the recording process. Our goal is to help out in all aspects of the release that include recording, design, manufacturing, marketing, promotion, radio, social media, touring, distribution, etc. We are looking into developing careers not just having a hit single. You sign an artist to The End Records. What happens next? Can you give us a general overview? If the album is not recorded we work out a budget, timelines, producers, studio, etc. If the album is recorded we tend to get straight into setup. First we make sure the whole company gets familiar with the artist. Then we start working strategy and working on collecting assets so we have what we need to get first press release out, prepare a marketing plan, etc. If there is a manager or touring agent we start discussing with them and work out a plan that can go out up to two years. Each department gets going with the release and we meet multiple times through the week to discuss progress, challenges and find out more ways to help out. We communicate with the artist constantly and work together on all steps. All the above add to the fun of running a label. Each artist is unique so we tend to come across various new elements each time that keep things exciting, challenging and fresh. It never gets tiresome. Thanks for being part of our series! Anything else you’d like to add? Thanks for the great questions! I really appreciate what ReverbNation does. Many artists need a music platform that can help them get their music out and reach to their fans. It’s great to see ReverbNation provides so many tools. Unsigned artists should not be discouraged if success doesn’t happen overnight. Keep improving your skills and develop your fanbase and know that great opportunity can come from many different angles. The world cannot survive without music and let’s all make sure there is always something cool and new on the horizon! Great info and advice. Its refreshing to hear a successful record label CEO, say “When I started this, I didnt have any resources…”, and how you were able to navigate with, and through that challenge, and ultimately overcome it, and become successful. I think those who enter this business and work their way up from zero resources, builds in compassion, tenacity, character, and an appreciation of success that makes it easier to remain down to earth, which ultimately leads to being able to connect to a wider audience, and long term popularity. Thank you for taking the time and effort to make this info available.